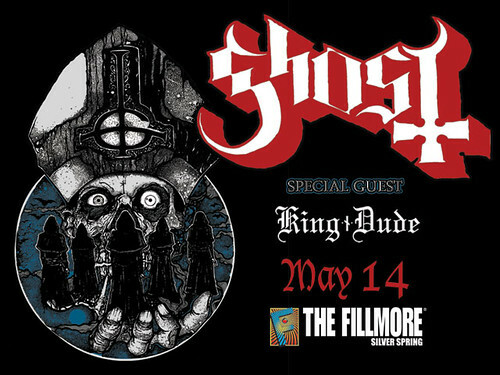 Papa Emeritus and his band of Nameless Ghouls will be playing at the Fillmore Silver Spring on Wednesday, May 14th as Ghost returns to the DC area. This week we’re giving away a pair of tickets to this show to get you as excited about this show as we are! To enter: leave a comment on this post telling me what your favorite Ghost song is. If you need help you can find their discography listed here. If you’re not a huge Ghost fan but are more into one of the other bands on the bill, then tell me what you favorite song by one of them is instead. At 5pm EST this Friday, May 9th, a winner will be chosen at random (using Random.org) from all valid entries to receive two tickets to the show! Be sure to use a valid email you check regularly so I can contact you if you win. Don’t worry, I won’t add you to any spam lists or sell your info or anything sleazy like that. If I haven’t heard back from the winner in 24 hours another winner will be chosen at random. If you can’t wait to see if you win, or the contest is already over when you read this, then you can get tickets from right now for $26.50 from Live Nation here. The anonymous Swedes of Ghost have their true identities shrouded in mystery but one thing is for sure, they know how to put on a killer live show. From their costumes, stage backdrops and lighting to their super catchy riffs and chorus lines Ghost is quite the musical spectacle to behold. 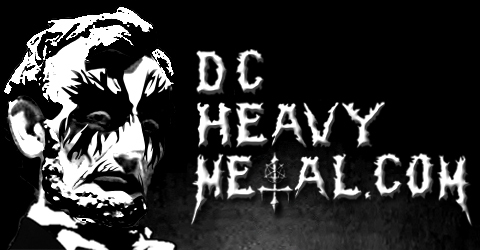 They’ll also be playing with King Dude, a dark and moody rocker from Seattle, who should be great at setting the stage for Ghost. In addition, the opening act for this show of the tour only will be the Flying Eyes, a psychedelic rock band from Baltimore. Now check out these killer tunes by Ghost and King Dude and tell me what your favorite Ghost song is in the comments!